Is your house in desperate need of spring cleaning? 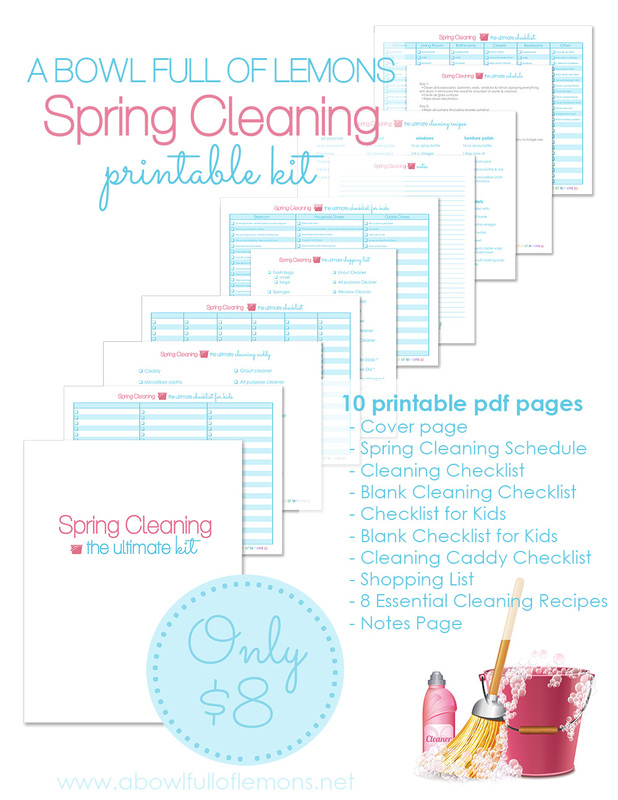 Take the thought process out of your spring cleaning plan this year & download A Bowl Full of Lemons Ultimate Spring Cleaning Kit. 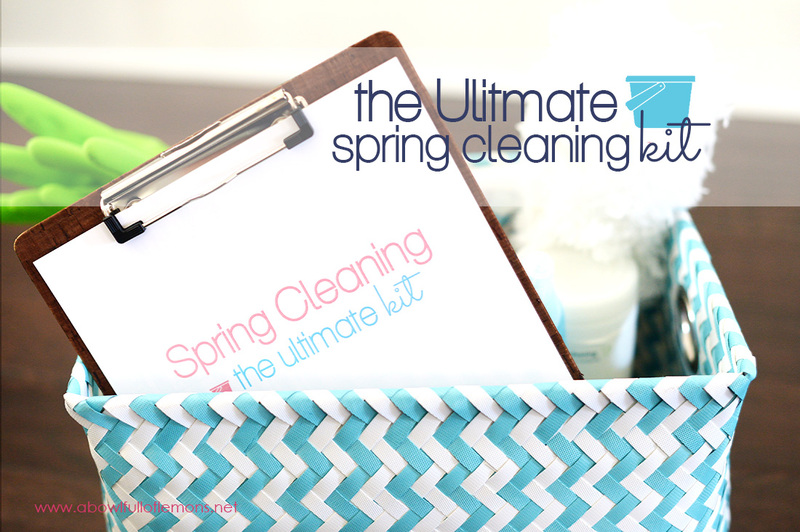 This cleaning kit covers everything you need to get your house ready for spring, including a comprehensive checklist. Have kids? Get them involved as well, with the kids checklist. This fabulous kit includes the ultimate spring cleaning plan (as outlined below), a comprehensive spring cleaning checklist, a checklist for the kids, 2 blank checklists for you to customize your own spring cleaning, how to put together the ultimate cleaning caddy, your spring cleaning shopping checklist, notes page, and 8 essential spring cleaning recipes – all for only $8.00. It has everything you need to implement your cleaning routine this season.